A single bench of Justice AM Shaffique of the Kerala High Court has held the constitutional validity of Section 234 E of the Income Tax Act, 1961. Under the said section, a fine is imposed for “failure to deliver or caused to be delivered a statement within the time prescribed in Section 200(3). The fine is Rs.200 for each day’s delay and the fee has to be paid before filing such statement. 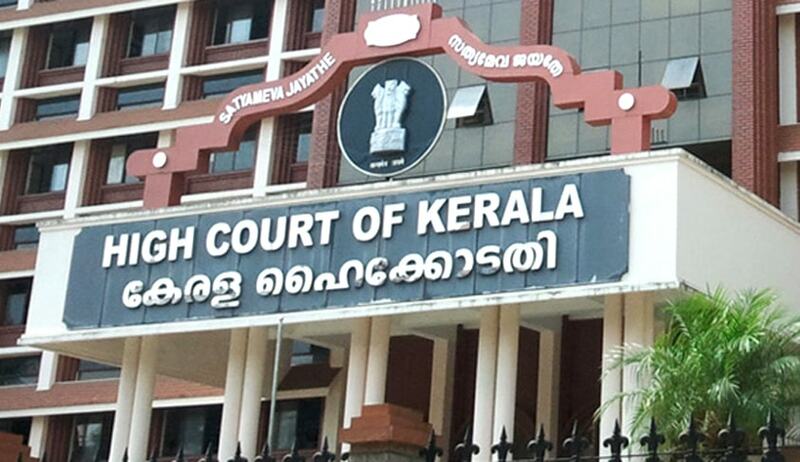 Court was hearing a writ petition filed by a lower primary school in Ernakulam, Kerala. The petitioners give salary payments to the teaching and non-teaching staff of the school after deducting Tax at Source (TDS) and the amount so collected is credited to the Income Tax Department. In terms of Section 200(3) of the Income Tax Act, quarterly statement of TDS has to be filed in Form 24Q in respect of the salary for the corresponding quarter ending in June, September, December, March of every year. The petitioners failed to pay the same quarterly statement in Form 24Q in respect of the 2nd and 3rd quarter. Following this the Income Tax Department charged the petitioner, a late fee amounting to Rs.15,000 and Rs.12,400 for the respective quarters. Section 234E was introduced in the Income Tax Act with the Finance Act effective from July 1, 2016. Prior to this, a penalty of Rs.100 was imposed for each day’s delay in filing the TDS statement, in terms of Section 272A (2)(k) of the Income Tax Act. Emphasizing the principles of statutory interpretation, central government’s lawyer argued that there is no dispute regarding the legislative competence of the Centre in enacting the law. Hence, courts should not interfere in the matter. The decision of the Bombay High Court in Rashmikant Kundalia and ors v Union of India & ors was relied upon by the Rajasthan High Court and the Karnataka High Court when a similar challenge to the validity of levying a late fee under the said section. In the said judgement, Bombay high Court had held that “the late filing of TDS return/statement is regularised upon payment of the fee as set out in Section 234E. This is nothing but a privilege and a special service to the deductor allowing him to file the TDS return/statement beyond the time prescribed by the Act or the Rules”. Hence, it was held that there is an element of quid pro quo for collecting the fee. Shaffique J observed – “The Bombay High Court has thereafter elaborated the consequences of delay in filing the statement. It is on account of the additional work burden which has fallen upon the department due to the fault of the deductor that a fee has been levied. I do not think that a different view can be taken in the matter”. Hence the court held that the petitioners did not succeed in challenging the vires of Section 234E and dismissed the petition.